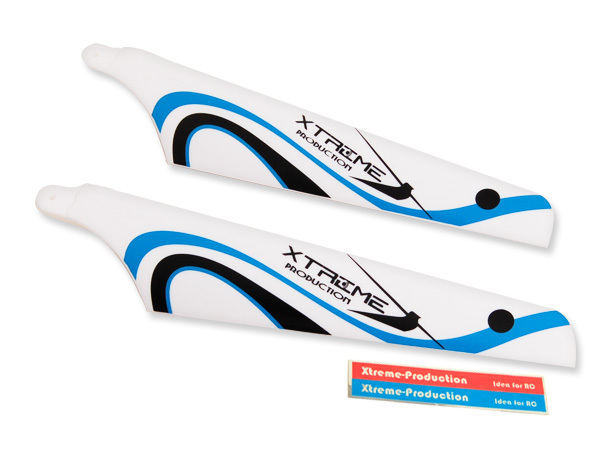 The material of the V2 Xtreme blade is different to the first generation blade (ESL005, ESL006 series). V2 is made of harder plastics with less flex than the v1. 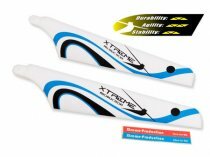 We recommend to use this blade with Xtreme 180 motors or other modified motors. The surface area is also reduced by around 15% compared to the v1, the lifting force is smaller but the advantage is the head speed (rotor rotation speed) will be higher, thus the helicopter is more responsive and has increased agility. We highly recommend this v2 blade to advanced players, who have mastered the control of the coaxial helicopter. For beginners, we recommend you to try the v1 blade (ESL005, ESL006) first, because the v1 blade is almost indestructible and provides better stability in hovering and flying.